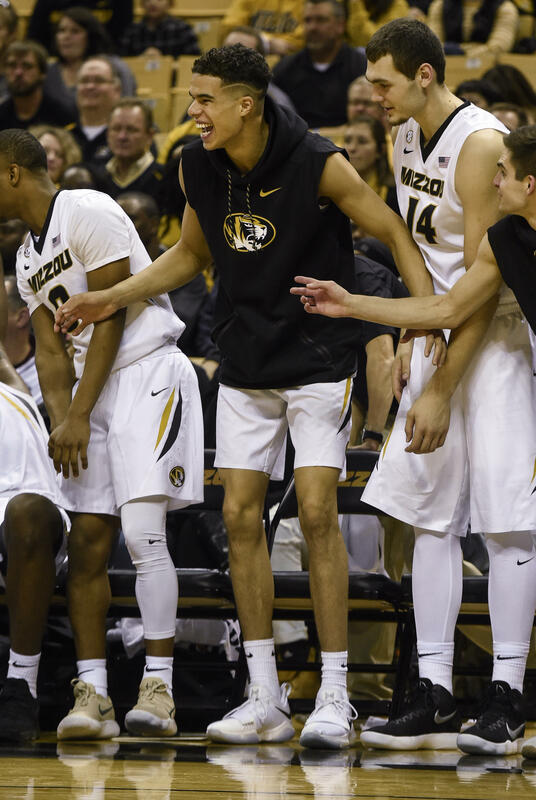 Michael Porter Jr. watches a game this season from the bench after needing back surgery in November. 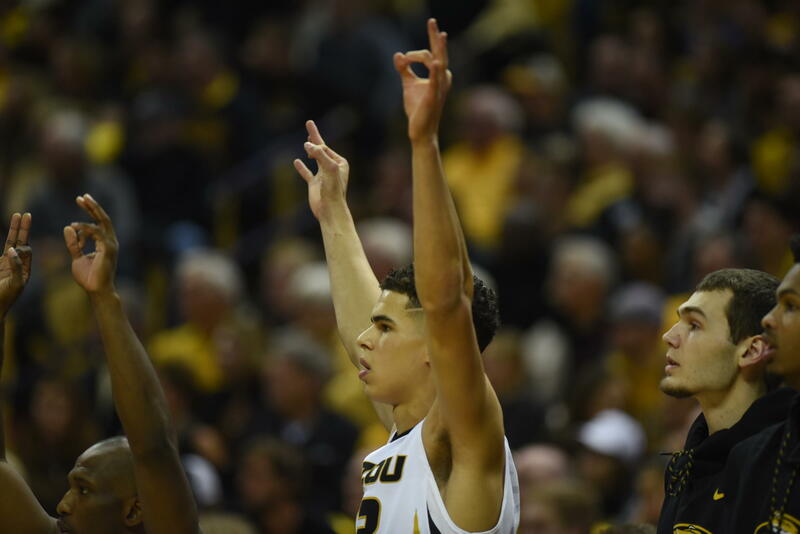 Porter’s debut came in November in Kansas City, when Missouri and Kansas squared off in a charity basketball game, giving everyone a look at how Tigers’ first-year coach Cuonzo Martin would blend Porter with the rest of the team. Sports psychologist Dr. Andrew Jacobs said it’s not an easy task. “One of the big issues I work on with players on is respect. A lot of guys who are the dynamic team-leader types of guys don’t understand, quite frankly, what the guys who are reserve players mindsets are because they’ve never been in that role before,” he said. While Porter’s only basket this season took place on Nov. 10 in the season-opening win over Iowa State due to a back injury, the Columbia, Missouri, native’s arrival made an impact at the university. Senior Associate Athletic Director Jay Luksis said tickets to home games were on the verge of selling out when Martin was hired, but Porter’s commitment to Mizzou —bringing his brother Jontay along, too —put them over the top. 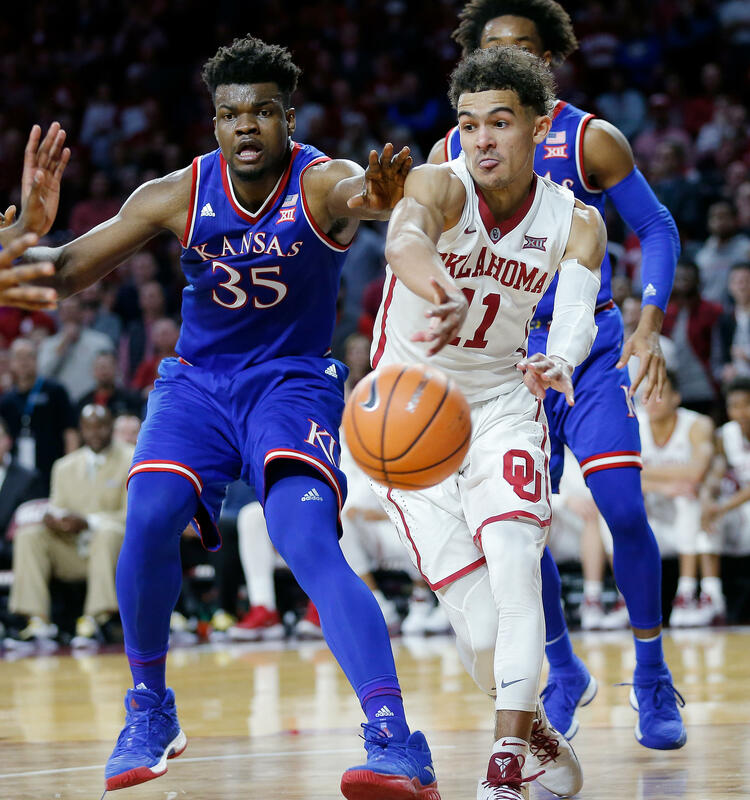 Oklahoma freshman guard Trae Young (left) plays against Kansas on Jan. 23. He has a chance to become the first player in men's college basketball to lead the nation in scoring and assists in the same season. Those business considerations have come into question, with the FBI looking into whether schools are illegally paying big-time recruits and players. Mizzou and Oklahoma haven’t been publicly tied to the investigation, but it’s in the early stages. Michael Porter Jr. (center) says he's taking notes as he watches the Mizzou men's basketball team from the bench. Meanwhile, Porter, who has been sidelined after back surgery, will soon find out if he’ll be medically cleared to play again this season. He said he’s figuring out how he can mix in with a team that’s moved on without him. 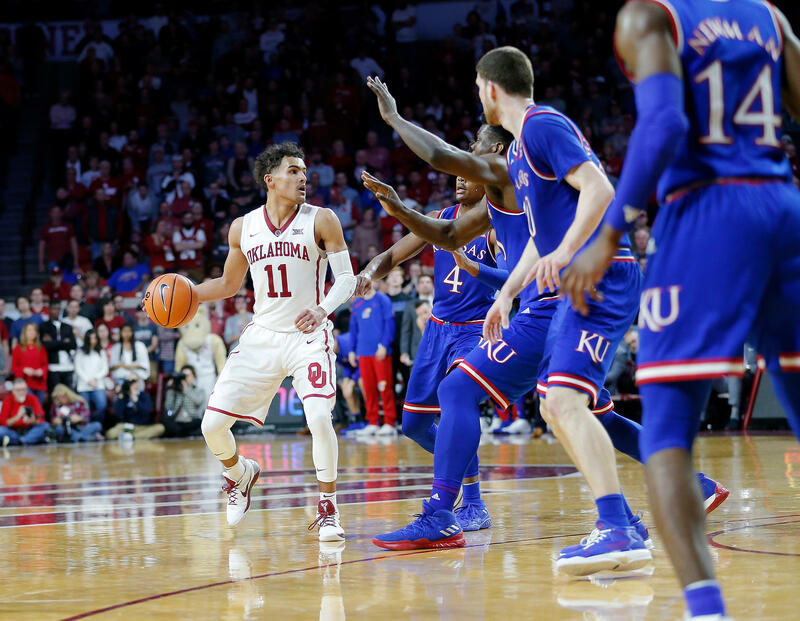 Oklahoma’s Young has been healthy, and despite a losing streak and some not-so-great games, the freshman could make history by becoming the first player to lead the nation in scoring and assists in the same season. Sooners coach Lon Kruger knows he has an impact player — one who understands the team dynamic. Oklahoma coach Lon Krueger says Trae Young (right) "knows he needs his teammates to play well." Jacobs believes impact players like Young and Porter need something besides physical talent to get through losing streaks and injuries. Mizzou is in contention for its first NCAA tournament berth since 2013, and Porter said he wants to play if he can. It’ll be up to Martin to figure out how to work him in at a time when there’s a lot at stake and little margin for error.